Welcome back! Hailey’s busy working on a breakthrough so that we can get that promotion! 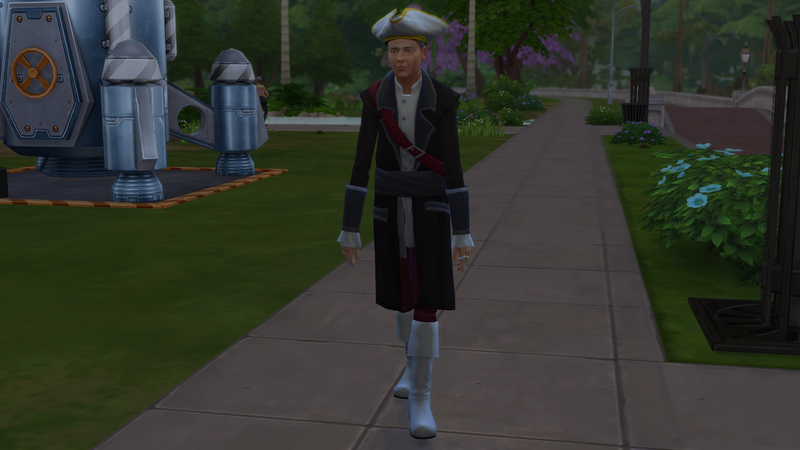 Dad is really getting into the Talk Like A Pirate Day… You go dad! Hailey and Adalind had a really cute mother/daughter moment. 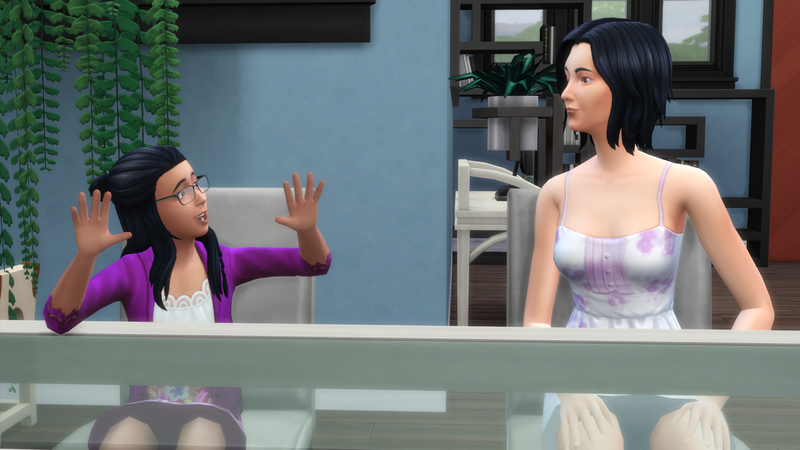 Adalind: And then the other kid jumped out and said BOO! You probably can’t tell, but this kid in front is a teen. But he looks like he could be the same age as the elder in the back. 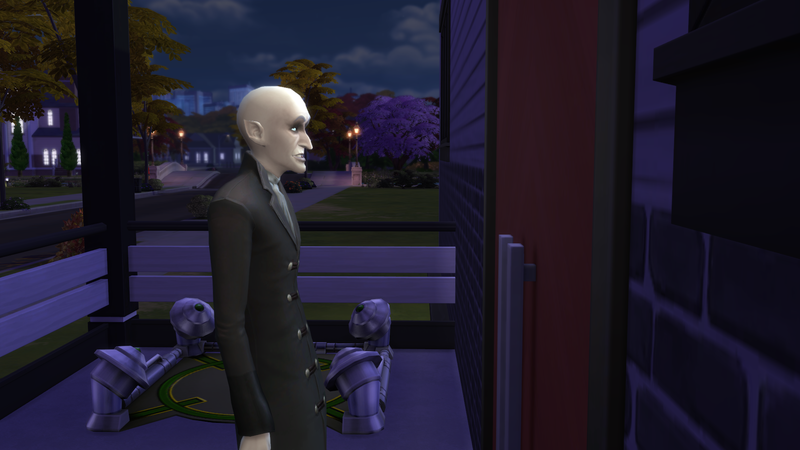 No Vlad. No away, we don’t serve your kind here. 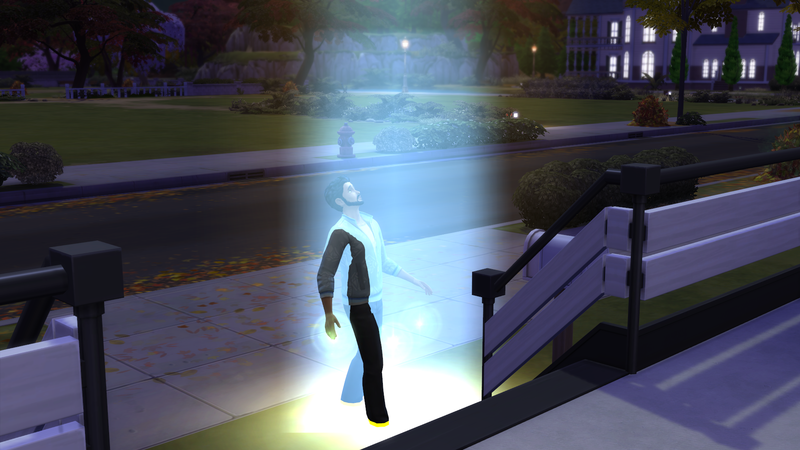 Malik is bearing it all for the town to see… Put some clothes on, mister! 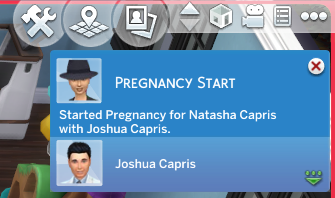 And now cousin Joshua is expecting with his wife! 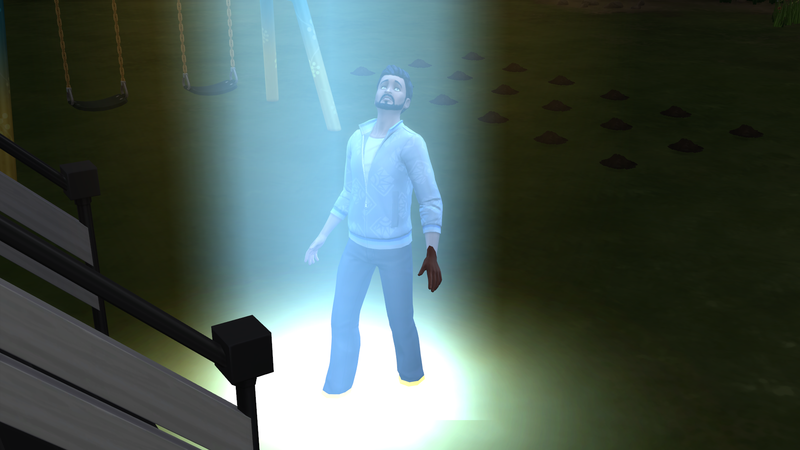 Aaaaaaaaaaand there goes Malik again. It’s snowing. 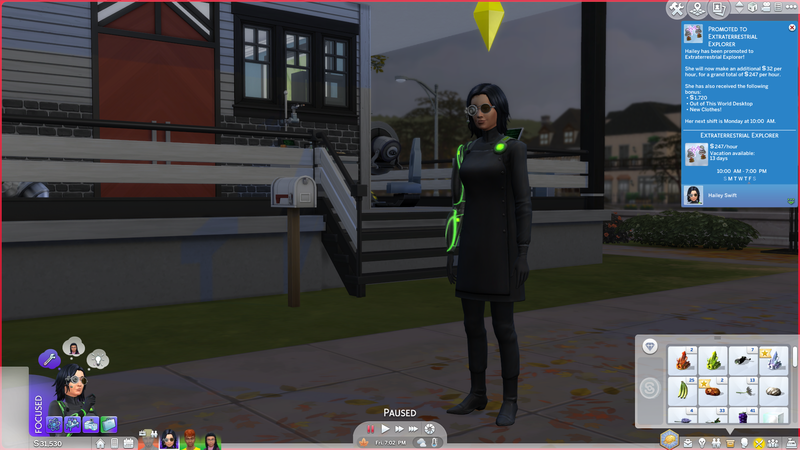 On Harvestfest. That’s too early…… And very realistic…. 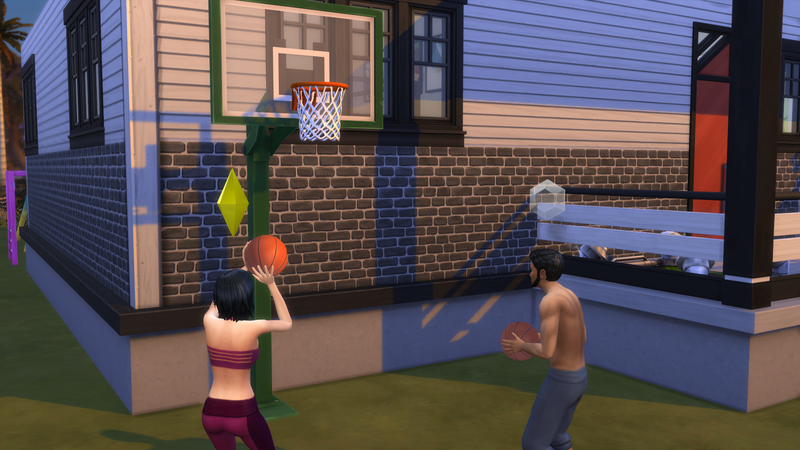 Here we are trying to get Malik’s fitness skill up so that he can get a promotion. 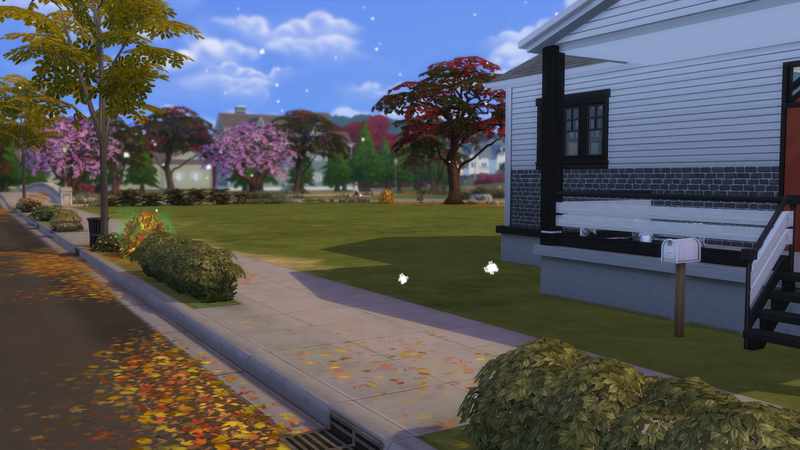 With most of the house goals finished, I can work on the rest of the fam. We got that final promotion! Goal: check! 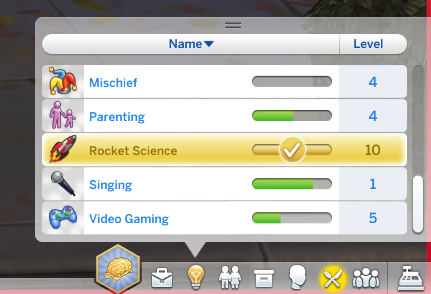 And I forgot to mention this, but we all maxed the rocket science skill! Goal: Check! 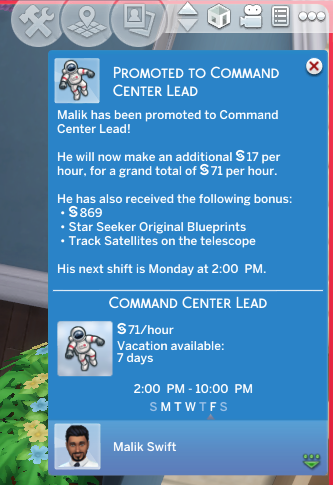 Malik got that promotion! 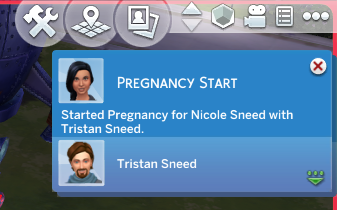 Good for you, buddy! 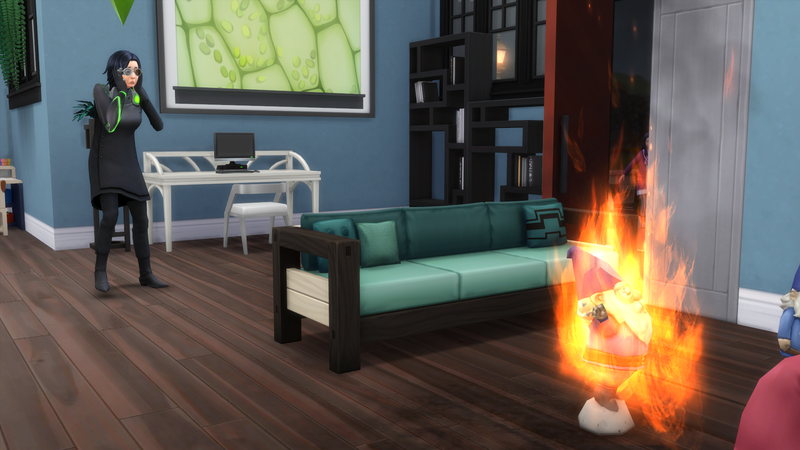 We had a TOTALLY random fire. No idea what caused it. 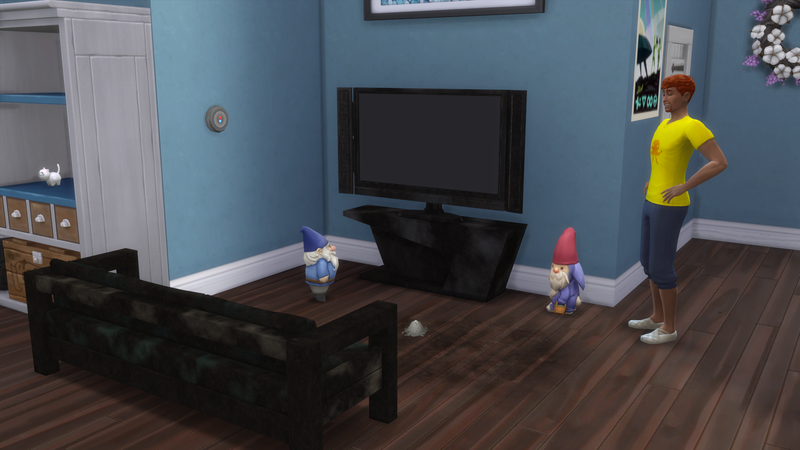 The gnome just spontaneously combusted. Vasyl saved the day! But not before we lost the couch, tv, and tv stand… ugh. 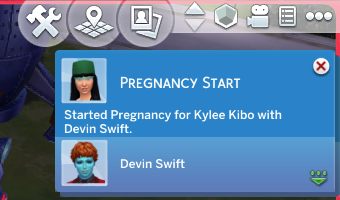 Devin had a baby boy! And Joshua had a girl! 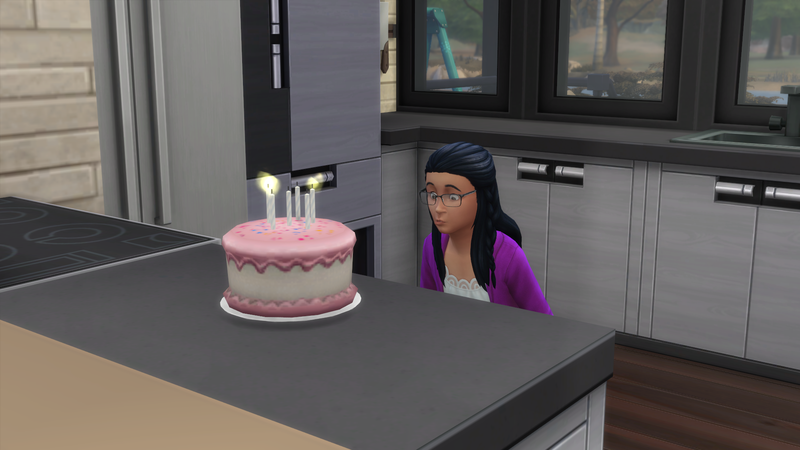 And then it was Adalind’s birthday! She looks not too thrilled about it lol! 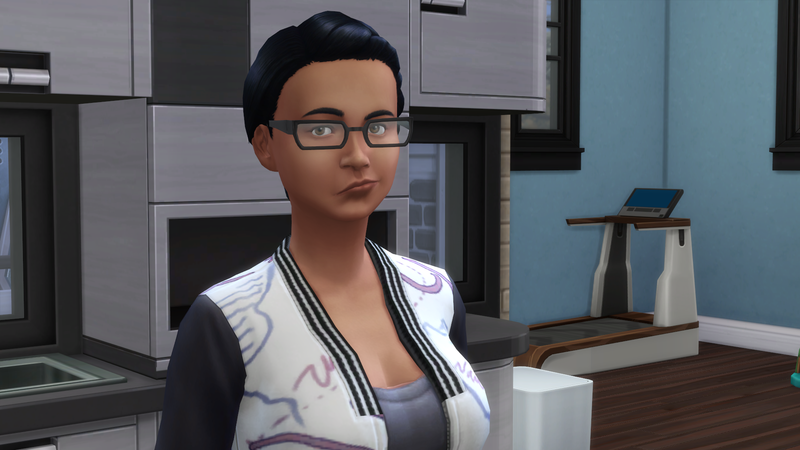 Here’s Skye Tanaka. 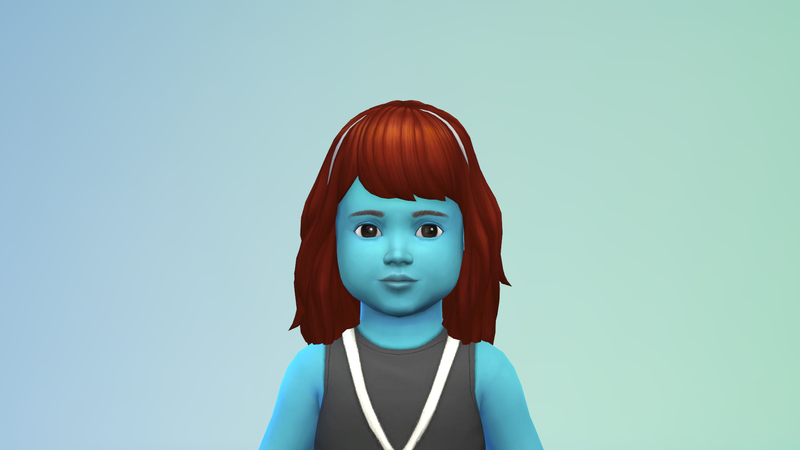 Kayla and Calvin’s daughter. Blake Sneed. 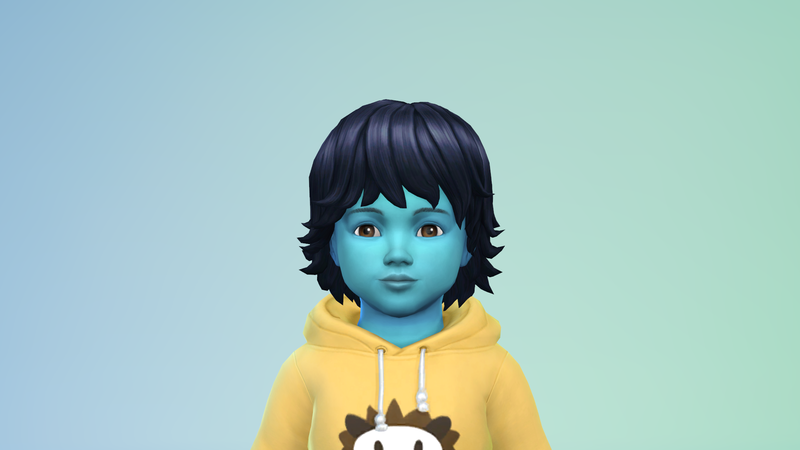 Nicole and her husband’s son. And here’s Ray Kibo. 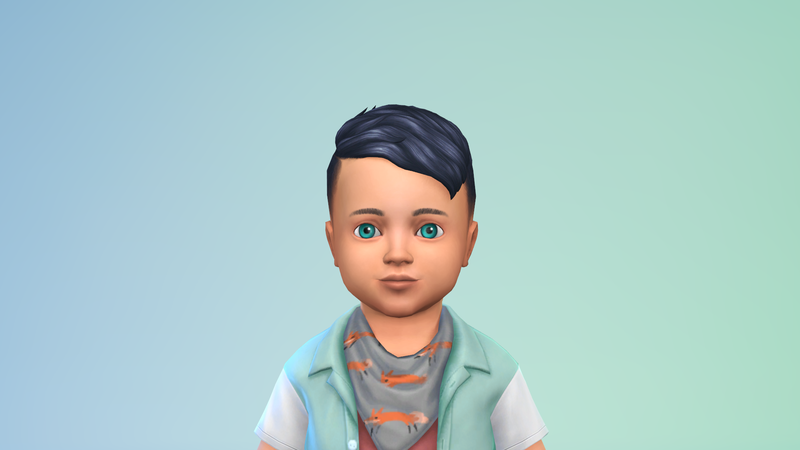 Devin and Kylee’s son. Yas! I have to have MCCC!